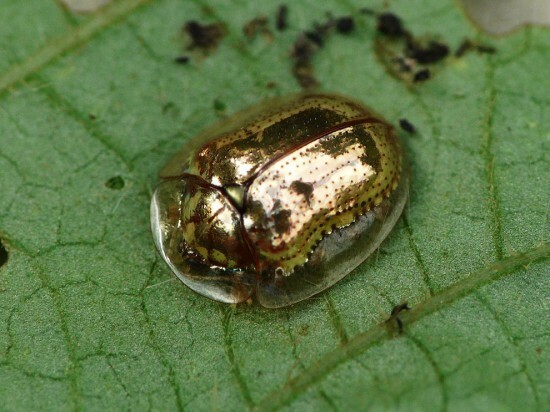 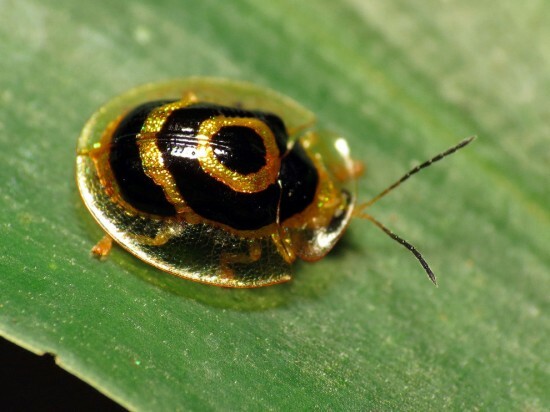 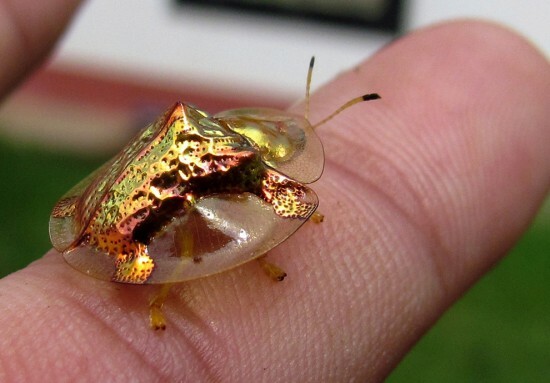 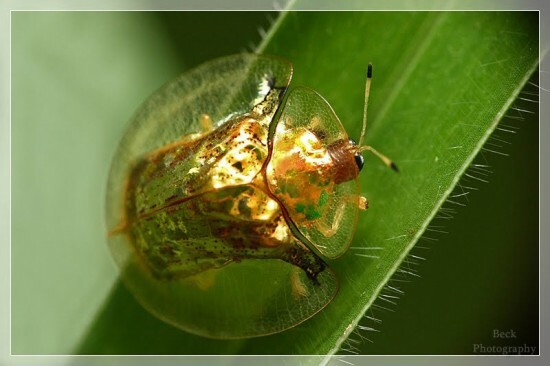 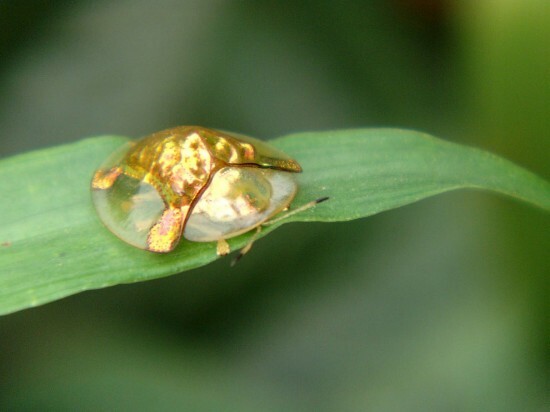 This is golden tortoise beetle a tiny, metallic North American insect that belongs to the leaf beetle family, Chrysomelidae, which includes flea beetles, asparagus beetles and longhorn beetles. 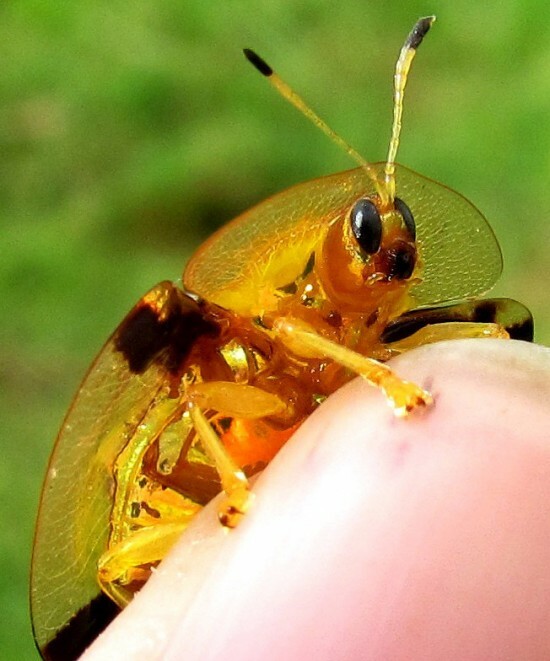 The size of this insect is 5-7 mm. 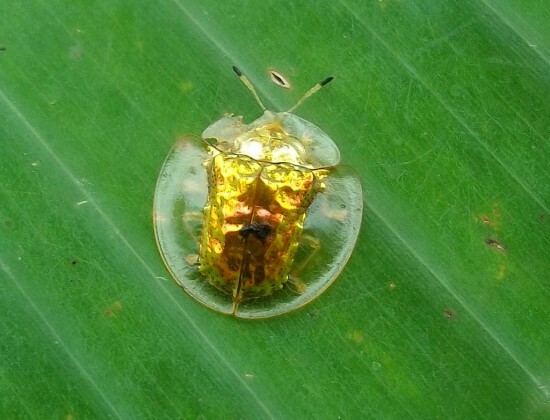 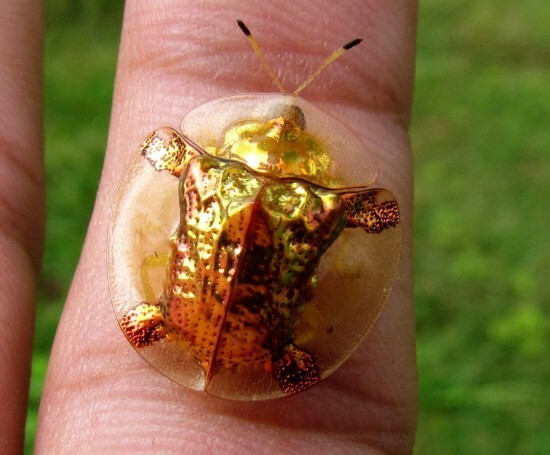 The title of this bug appeared because of the stunning similarity to tortoise shell and gold color, which he is able to change it. 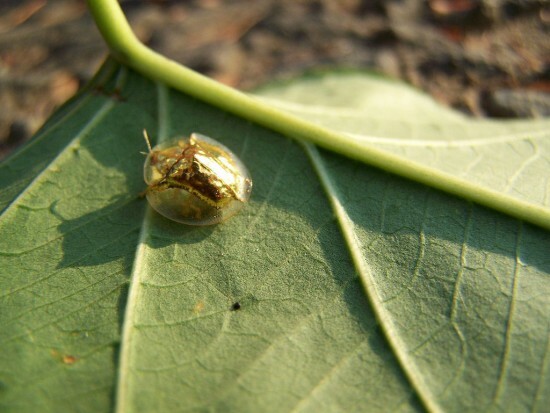 Also surprising fact about this insect is that the golden turtle eats only green leafy plant morning glory.